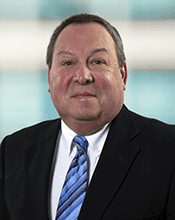 Hear from the Newly-Elected Freeholder Director of Burlington County, Tom Pullion. Tom Pullion is a resident of Edgewater Park where he and his wife Catherine (Nye) Pullion have raised three children Christopher, Collette, and Chelsea. Tom has a BS Degree in Psychology with a minor in Biology from Saint Vincent College in Latrobe, Pennsylvania and Post - Graduate studies in Mechanical Engineering from the University of Pittsburgh. Tom has been active in Community Service since 1995 Serving on the Edgewater Park School Board for (5) years and as its President in 1999. Tom was elected to Township Committee in 1999-2000 and served on the Committee for (15) years. Tom was appointed Mayor of the town in 2004 and again in 2014. During his tenure on Committee he sat on the Zoning and Planning Boards, Economic Development as its Co-Chair, Administration and Finance, Board of Safety working with Law Enforcement, Buildings and Grounds, and currently sits on the Sewage Authority. At the request of the Bishop of Trenton, Tom was asked to join the first Board of Trustees of Holy Cross High School and served in that capacity for (5) years. Tom was involved for many years in the Scouting Program having attained the rank of Eagle Scout as a youth and later in life returning as a Scout Leader mentoring young men. Tom is the Township Administrator for Edgewater Park. He joined the Freeholder Board in January 2018 and serves as liaison to Public Safety, and Corrections.